LUXURIOUS FOUR BEDROOM ESTATE WITH INFINITY POOL, PRIVACY AND OCEAN VIEW!!! This gorgeous new estate is the perfect place for your next vacation in Dominical. With stunning ocean views, an infinity pool, four master suites, and even a helicopter pad, this is one of the most luxurious homes in the area. 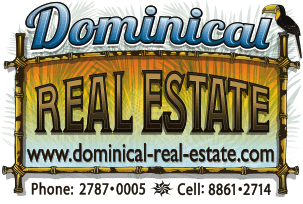 The estate is located in Lagunas, about 10 minutes from Dominical Beach. It's high enough in the hills to enjoy cool breezes and a stunning view up the coast to Manuel Antonio National Park. Located on a dead end road with gated access, you won't have to worry about road noise or lack of privacy. You'll only hear the sounds of the jungle, and the monkeys and toucans will be your closest neighbors. You enter this home into a lovely open kitchen and living area, filled with warm woods, top of the line appliances, and hand picked furnishings imported from Italy. To the left is the pool area, with sun loungers, outdoor dining table, and BBQ. To the right is a custom bar with thoughtfully stocked wine cooler. There are four bedrooms in this home, two upstairs and two downstairs. There's also a comfortable outdoor living room upstairs. Each bedroom has a king size bed and en suite bathroom, so each is like a master suite. One of the upstairs bedrooms is a bit larger than the others, with a stunning ocean view. One of the downstairs bedrooms can be set up to accommodate more guests if needed. If you want to spend your next vacation immersed in private luxury, look no further! Soak in your infinity pool, listen to the silent trees, and relax into pura vida.